I’ve been meaning to write a post boring you all with my goals for the year, instead I’ve decided to use my first 2016 post to promote the work of another – something that benefits us all. I firmly believe that putting forward authors whose work you enjoy benefits us all. What better way than to give readers the opportunity to discover new worlds? He had me at apocalypse. For those not familiar with Greg’s work, not only is he a wonderful writer but a kick-arse illustrator, too (hogging the talent pool much?). He’s the artist behind the Bram Stoker award-winning graphic novel, Witch Hunts: A Graphic History of the Burning Times, penned by Lisa Morton and the late (great) Rocky Wood. 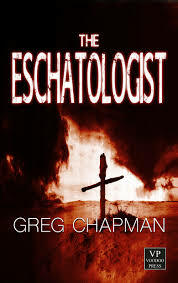 So if you’re looking for something new to read, check out The Eschatologist, Oh, and take a look at the book trailer – it rocks!